This is a black on black 1986 951 from California via Arizona with close to 200k miles. Most of the car has had a bare metal repaint by Terry Worrick at Absolute auto body in Lincoln, Nebraska. Terry specializes in this kind of work and does a fantastic job. 17" turbo twist chrome rims with polished lug nuts, crested valve stems, and billet crested center caps give it a look I really like. I have installed a vented nose panel, 968 wing and mirrors, look carefully at the rear shot and notice there is no key hole. The standard lock doesn't allow use of the key with the 968 wing, so Terry welded it shut and relocated it to the underside on top of the license plate. At the same time we deleted the Porsche decal and turbo emblem. I think it makes the rear of the car look much cleaner. Not many suspension mods, I have replaced enough parts to bring the suspension back to stock or a little better, plus polyurethane bushings, Racing Dynamics strut tower brace and Pirelli P-zeros. The interior is almost pristine, with an upgraded stereo and CD changer, as well as a a Nardi leather wheel. There are white faced gauges with chrome bezels. I also installed a self dimming rear view mirror with a compass and a luggage cover that didn't come with the car as well as key-less remote entry. For no good reason I also have a flamethrower that will shoot fire out the exhaust at the push of a button. I finally have this car reliable enough for my daily driver, and fast enough to embarrass new corvettes and others. I have measured 0-60 times very close to 5 seconds flat with a g-tech meter, and still get 30 mpg or better when I keep my foot off the floor. My great thanks to Dave Lindsey for his support and technical help. I'm not sure what my next plans are, but this is one sweet ride. 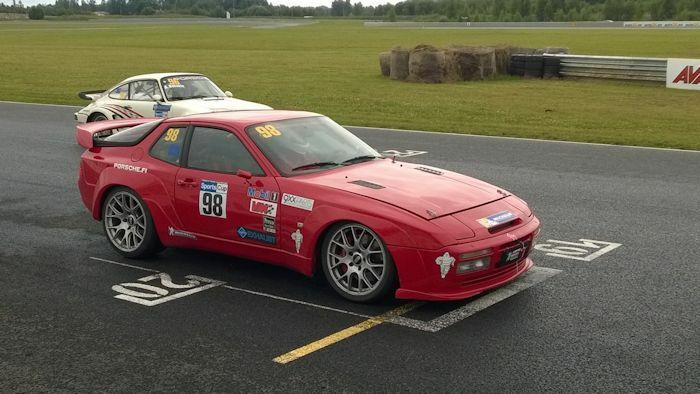 This is my third Porsche after a NA 1987 944 and a 1978 euro 928. While both were great cars, the 944 turbo is far and away the fastest and most usable. 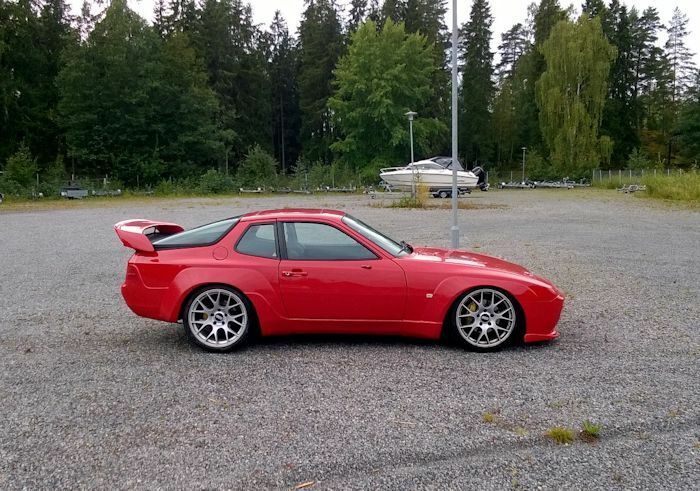 I just wish I could run and maintain it for the cost of a normal 944.